“We all know why,” Woodley began. “People can always act like they’ll fight anybody, any time until it’s time to fight me,” Woodley told ‘Sway’s Universe’ after his latest title defense. “I can name five or six people ‘I’ll fight anybody, any time’. Nate Diaz, Nick Diaz, Michael Bisping, Georges St-Pierre, Conor McGregor. All had the opportunity, all was given the chance to fight me, none of them accepted. Tyron Woodley has maintained that now, he is only focused on fighting whomever the UFC puts in front of him, and Dana White has made no bones about it: that next man is Colby “Chaos” Covington. 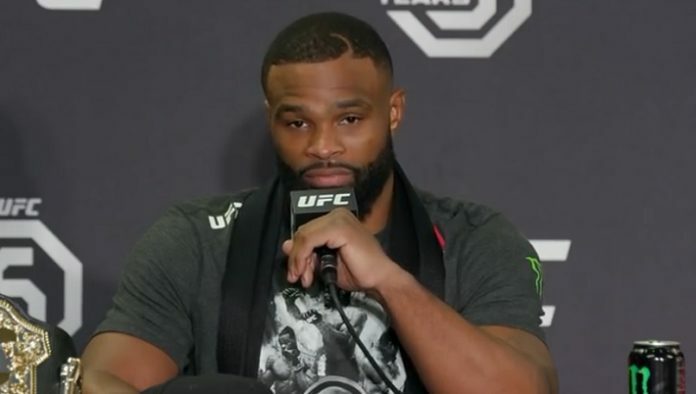 Do you agree with Tyron Woodley’s explanation for why he has not scored a big money fight yet?